While temporary above ground pools are easy to set up and use for one or two summer seasons, there’s a better option out there for those who want even more stability, durability, and space for swimming. Metal frame pools tend to last a lot longer than their softer counterparts, and because of their snap-on joint frames, this eliminates the need for tools. 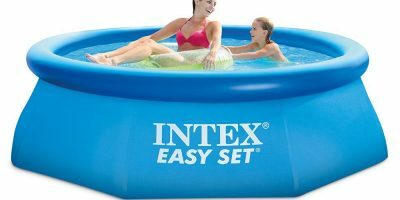 An optimal choice for a metal frame pool is the Intex Metal Frame Pool Set. 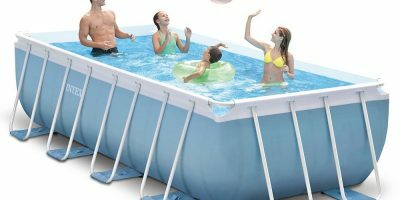 This 15-feet by 48-inch metal frame pool can last you several pool seasons with its rust-proof coated frames and layout pool liner. 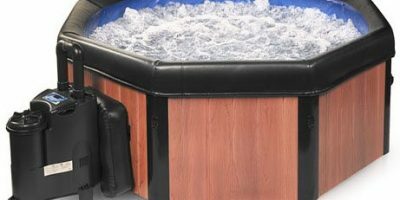 This pool is built for if you want more space to swim and float around, and if you have members of the family that are extra playful, the triple-strong laminated sidewalls are made with 3 separate layers of material for more durability. According to buyers, assembly (see video below) is relatively easy (but it doesn’t hurt to have a few friends help you out) and the frames’ snap-on joints means you don’t need any tools to finish the job. Setup consists of leveling out the ground, laying out and constructing the frame, configuring the water pump, and then lastly filling it with water. 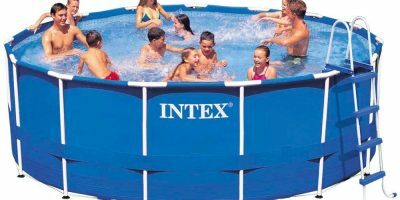 The smallest size for the Intex Metal Frame pool model is 12 feet by 30 inches and it comes as big as 15 feet by 48 inches. Typical with any pool set, it comes with a 120V 1,000 GPH filter pump, a ladder, a drop cloth, and a pool cover. When you’re ready to clean or disassemble your pool, the handy drain plug can connect to your garden hose for draining the water away from the pool area. 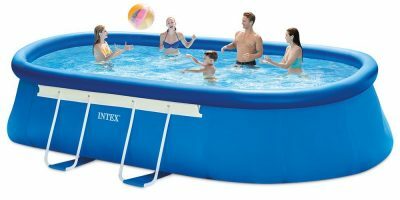 The pool is available in the following sizes: 12ft x 30in and 15ft x 48in (this review). Prices range from $100 to about 500 as you go up in size. 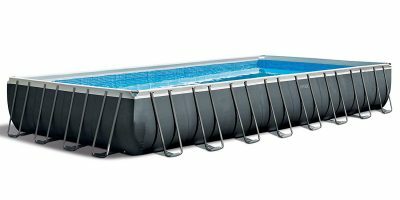 For a sturdier above ground pool that’ll last you more than one pool season, the Intex Metal Frame pool is the optimal choice. 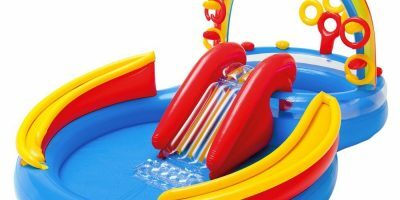 Setup takes around 30 minutes, and you can rest easy knowing that its triple-strong laminated sidewalls prevent any sorts of leaks and tears while kids and adults are having fun in the pool.